Raman Lamba pronunciation (2 January 1960 – 23 February 1998) was an Indian cricketer who played in four Tests and 32 One Day Internationals, mainly as a batsman. He also represented Ireland in unofficial One Day International matches. Lamba died after slipping into coma due to internal haemorrhage, three days after being hit on the temple by a cricket ball while fielding in Bangladeshs league cricket. 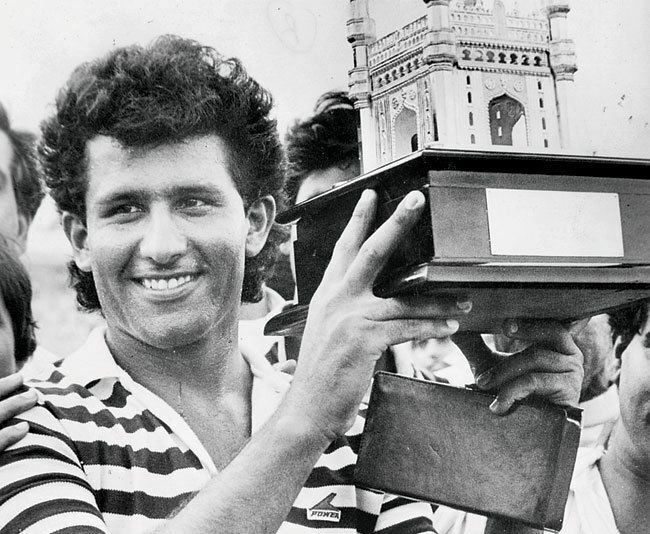 Lamba appeared for India as a one day player in the 1986 Australasia Cup final, when he also took an acrobatic catch to dismiss Abdul Qadir off Kapil Dev, where he played as substitute fielder. He had a great opening in One day cricket as he scored 64 in his first match and 102 in his sixth match as he won the man of the series against Australia for scoring 278 runs at an average of 55.60 per innings with a century and 2 fifties. His scoring pattern in 6 innings were 64, 1, 20*, 74, 17 and 102. Lamba and Krishnamachari Srikkanth were Indias openers for the Jawaharlal Nehru Centenary Cup in 1989. Twice they had 100 runs opening partnership, against Australia and Pakistan. Their approach was similar, as both were stroke players. Their aggressive batting approach as openers was later adopted by opening pair Sanath Jayasuriya and Romesh Kaluwitharana in 1996 world cup. Lamba had a moderate start at an average of 33.67 against the Sri Lankans, but failed in his only test against the West Indies, scoring just one run in two innings which virtually ended his career as a Test player. He did make a come back to test cricket playing XI against Pakistan in 1989, but injured his finger during nets and couldnt play in the match and Mohammad Azharuddin was given a chance again.